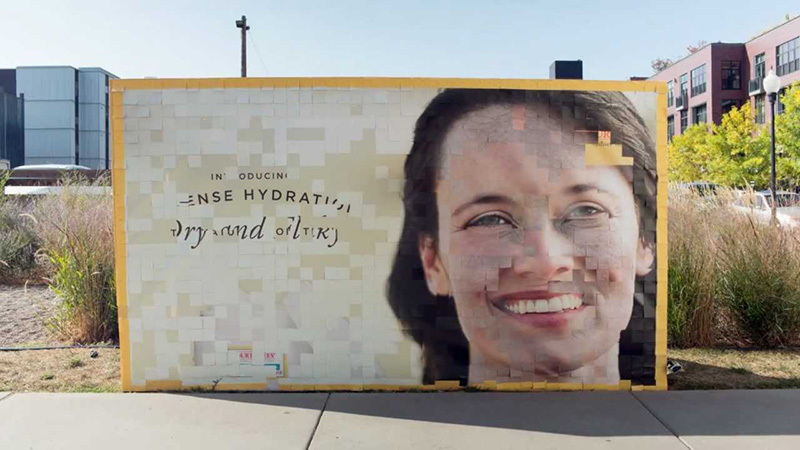 In October of 2012, personal care products company Burt’s Bees created a unique interactive billboard campaign for their new Intense Hydration line. The billboard is not your typical billboard; Burt’s Bees got creative, redefining billboards and how customers interact with them. As a result, the campaign was quite successful. 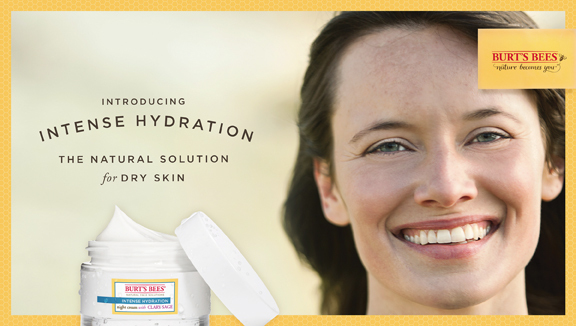 What was the Burt’s Bees Intense Hydration billboard campaign all about, and what made it so successful? The campaign takes place along the busy street life of Minneapolis, where Burt’s Bees had decided to construct a billboard using thousands of coupons. This requires the team to attach each coupon to the board one by one; when put together, the coupons show the image of a woman with dry skin. After the billboard is done, the crew sets it up on a busy street. 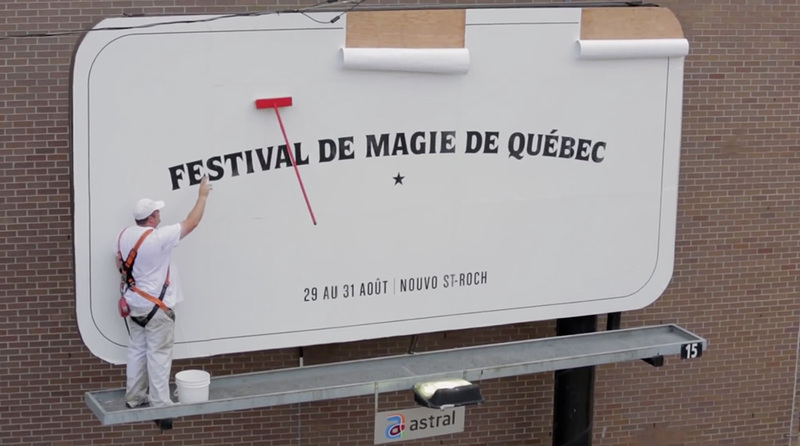 Once the billboard is up, several curious passersby stop at it and peel off coupons over the course of the day. 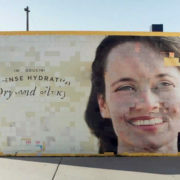 As the coupons come off, the billboard eventually reveals a different image of the same woman underneath, now smiling and with a more vibrant complexion, obviously happier than before, presumably in order to show the intended effect of using Intense Hydration products. 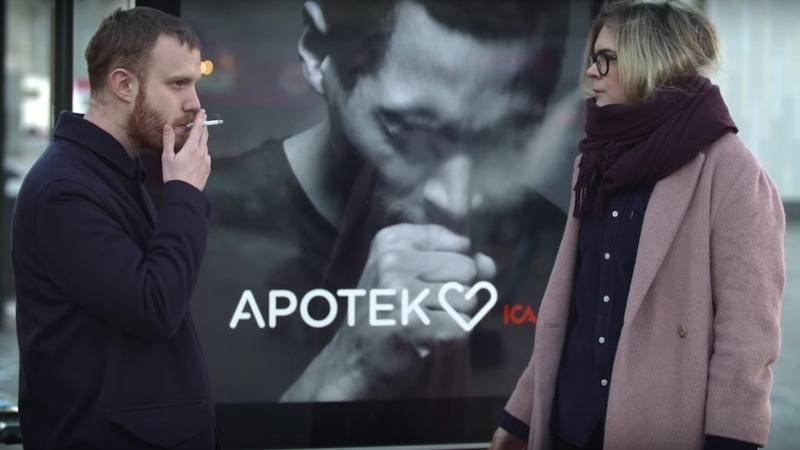 Why did this campaign get such a positive response? 1. It takes a unique approach. In the past, Burt’s Bees also worked with its agency Baldwin& to celebrate Earth Day with a unique “music video” that incorporated sounds of several common ingredients found in Burt’s Bees’ products. For starters, Burt’s Bees reimagines the typical, run-of-the-mill advertising campaigns and gets creative, doing what other players in the industry haven’t done before. People tend to get desensitized to predictable, generic marketing strategies and tune out anything that’s ordinary. Burt’s Bees makes a memorable impression by taking the boring old “before and after” and adding a unique element by using detachable coupons to show a gradual transition from the “before” to the “after” stages instead of showcasing a simple static side-by-side comparison or something similar. 2. It engages and rewards other people. Burt’s Bees uses their billboard to interact with actual people, helping to boost the campaign’s message. 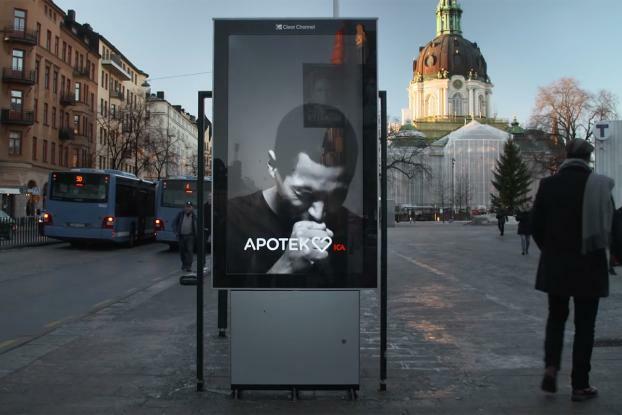 Traditional billboards are rather passive and one-sided in their communication, expecting nothing but for people to stop and read the billboard. 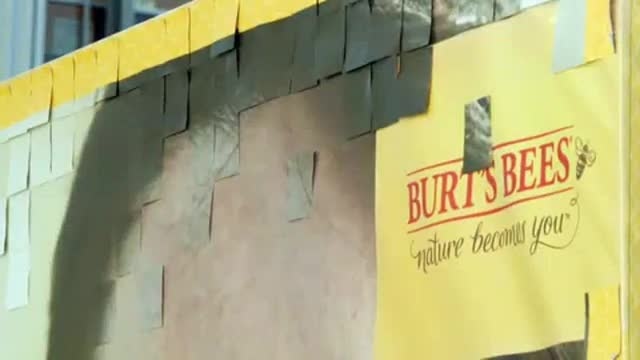 After Burt’s Bees’ team members put together the billboard in an interactive way (read: setting it up with a layer of detachable coupons), they get actual people to interact with their advertising, peeling off the coupons and eventually showing the result. 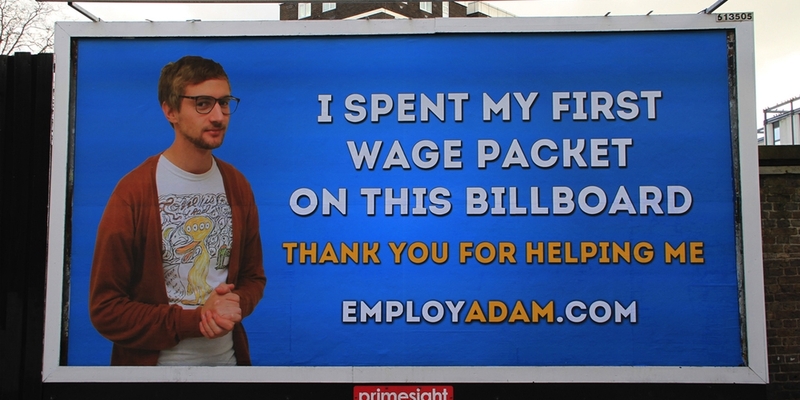 Getting real, genuine people to interact with the billboard strengthens the campaign’s message as well as rewards these individuals with $3 discount coupons, in this case. 3. It shows, not tells. Burt’s Bees lets their campaign show consumers the potential of their product instead of merely telling them about it. Far too many brands market their products in a way that merely tells the audience how great their product is, instead of actually showing it. Burt’s Bees sets up a superb unique before-and-after demonstration that sends a powerful message effectively without needing to fill the billboard with superfluous information. Not to mention that the coupons Burt’s Bees used were printed on post-consumer recycled content and the billboard they used was printed on recyclable nylon. This eco-friendly position, even behind the scenes, sets a stellar example and aligns with Burt’s Bees’ dedication to using all-natural products. After the campaign, Burt’s Bees released a video that shows the creation of the billboard and the actual campaign in action. Billboards are a classic site alongside roads throughout the world, but most of them are fairly similar. 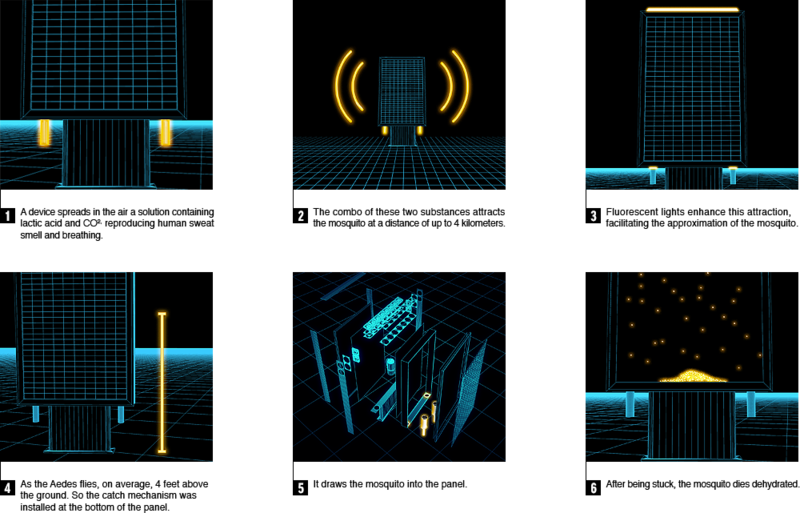 They have roughly the same dimensions, don’t contain too much information, and are designed to get a simple message across to people who won’t have much time to view it. On the other hand, quality billboards go much further. They follow a strong strategy, and they’re put together in a way to be very memorable. Some even go to extreme lengths to make them unique enough that people want to talk about them. 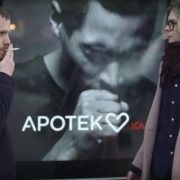 Some advertisers in France recently decide to go big with their sign, and it caught the attention of plenty of people. This situation is unique because the billboard was put up not by the company it was advertising, but by its competitor. 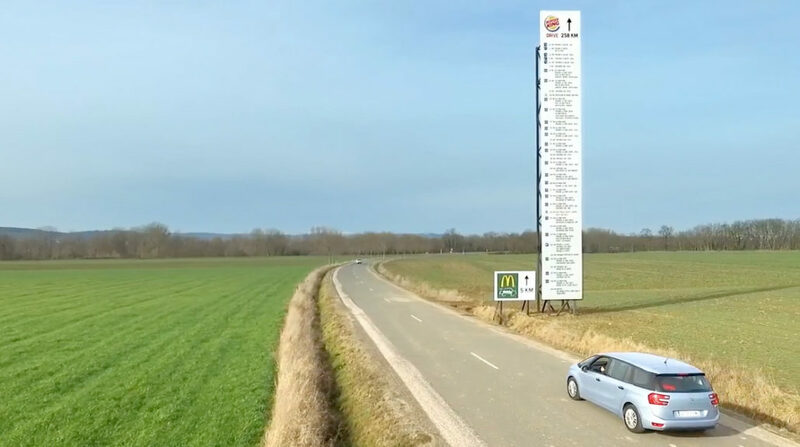 The sign was a giant ad giving directions on how to get to the nearest Burger King, and it happened to be 258 km away. But, they did it because they could put a sign next to it showing the distance to the nearest McDonald’s, and it was only 5 km away. This whole little plan would’ve worked without any spectacular show, but it wouldn’t have received the major attention it ended up getting without its unique aspect. 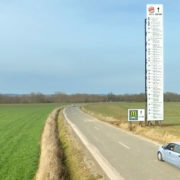 The billboard showing the major distance to Burger King also included the directions that a GPS would give drivers, so the BK sign was about 10 times taller than the McDonald’s ad. It may seem like a weird sign for a fast-food chain, but these two billboards really communicated the main message that McDonald’s wanted customers to know. There are around 1,000 drive throughs with golden arches on the sign, but less than 20 with a king advertising the burgers. So, rather than making people think the food was tastier, the prices were better, or any other value they’ll receive while eating there, McDonald’s wanted to remind customers how much more convenient it is to swing by one of their restaurants. This was an unusual way to show it, but sometimes that’s what it takes. There are a lot of ways for billboards and other ads to be interesting enough for people to talk about them. Sometimes they make use of extremely advanced technologically, so they’re a conversation topic because people are impressed. Other times they somehow solve a problem that people face in their lives, so they’re interesting because of the good they do. 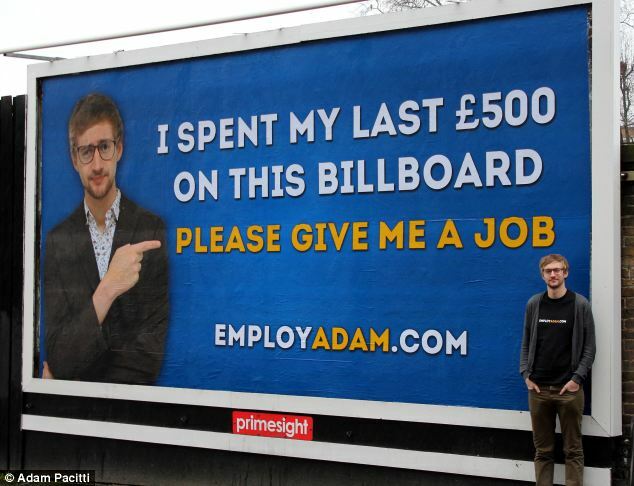 In this case, the billboard was talked about because of how ridiculous it was. It didn’t have any fancy technology, and it hardly had anything pretty to look at. It didn’t do anything new, and it definitely didn’t solve a problem (it’s unlikely anyone would actually use this as their key source of information on how to get somewhere so far away). Instead, people liked it because it was so dramatic. It was funny and silly, and yet it still made the point. Another tricky situation involved here is mentioning the competition. When planning your advertising, this is an important thing to decide about for a few reasons. First, you need to find out what legal restrictions you face. A small mistake could cause you to end up with a costly lawsuit, and that’s not usually worth it. 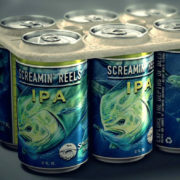 More importantly, this gives direct advertising for your competitor. Everyone knows that these two chains are against each other, but some companies need to be careful about helping customers realize that other organizations offer similar products or services. Plus, if you’re too mean, it can leave you with a negative impression in the eyes of some customers. 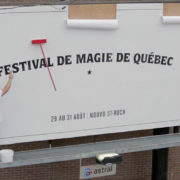 When designing a billboard, it’s a good idea to get a little creative with the style. Remember that you don’t have to be old-fashioned and boring with what you make, and creating something that looks different from all the other signs on the road can really help yours stand out. 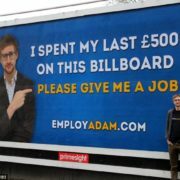 Another good lesson to take from this has to do with the content of the billboard. They generally need to have less information since many people see them but for only a short amount of time, so it’s a good idea to pick only one message. And, it doesn’t have to be about your product. 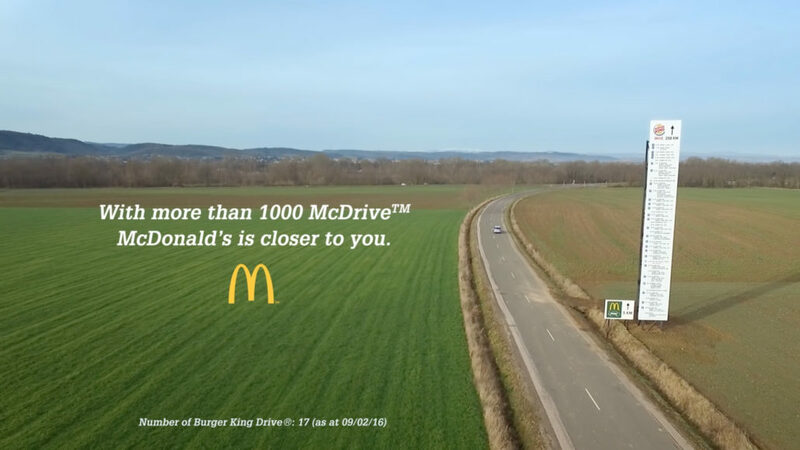 McDonald’s does a lot of marketing about its food, so sometimes they can highlight other values that they can offer to customers – such as convenience. Want to Make a Billboard that Stands Out? We love working with creative ideas for our billboards, and we’ll be happy to take on the challenge of something exciting you’ve come up with. Even if you don’t want to build a tower giving directions to your competitor, we can help make your idea a reality. The Super Bowl is the time of year when the best teams prepare to compete with each other. Tons of planning has gone into a specific strategy, and they want to be the most talked about group after the game is over. This really is a big stage for commercials, and the price range shows it. 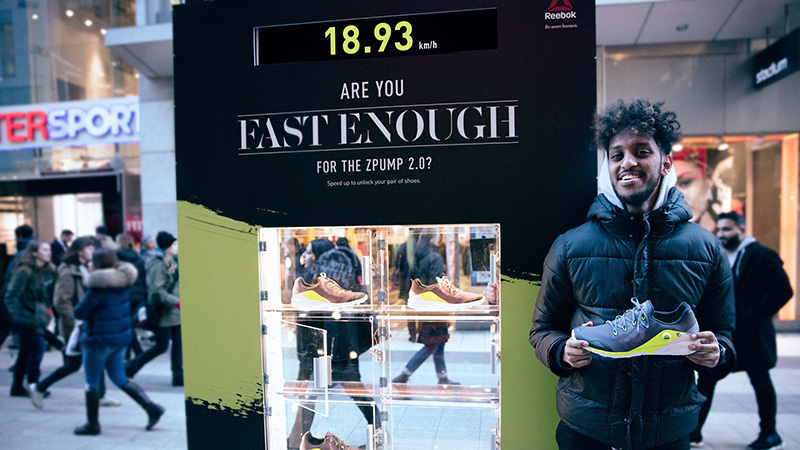 In 2017, the cost for a 30-second spot was $5 million. When you’re spending that kind of money, there isn’t much room to make an error. 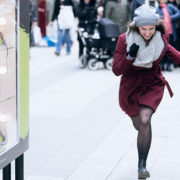 The styles vary from funny to serious to utterly absurd, and sometimes they even try new methods such as filming during the show. For a variety of different reasons, here are the best Super Bowl ads of 2017. Buick seems to be refreshing its brand image, in quite an entertaining way. The popular quarterback Cam Newton shows off his skills around some kids who are much newer to the game than he is, and even a supermodel makes an appearance. The trusty old Mr. Clean is back, but he’s a little more risqué than he’s been in the past. Plus, this commercial gives a valuable insight to any man wanting to be sexier for his wife or girlfriend. 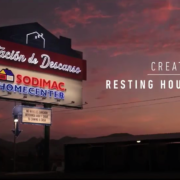 The vacation rental website decided to go the serious route with their big commercial this year, and they focused on highlighting their value when it comes to dealing with people who are different. 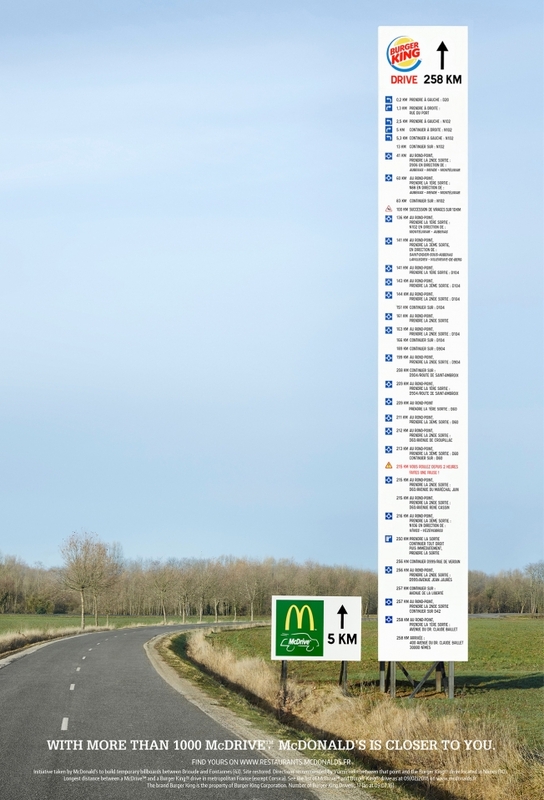 The ad was made in a very simple way, but the message came across clearly. This clever ad takes two parts to tell the story of John Malkovich trying to get the correct web address for the website of his new fashion line. The extra clever part is that he actually did launch a men’s clothing line, so we can only assume that he uses Squarespace and had an awkward time getting the rights to his own name. The car maker Hyundai followed a fairly common Super Bowl theme of being patriotic and supporting soldiers, but they managed to work another gimmick into the ad. Instead of filming it beforehand, as was the strategy for every other commercial ever made, they had two crews on opposite sides of the planet putting it together while the players were on the field. This bottled water company believes that creativity and design are crucial to their brand, and they have a special edition set of bottles designed by certain artists. The commercial itself is very image driven, shows art being created, the music is great, and water manages to have a starring role. One of Skittles’ trademark strategies is to always have funny ads, and this one doesn’t disappoint. You start by rooting for the teenage boy who wants to impress his girlfriend, and then you end up being jealous of her family. In one of the stranger and more traumatic ads of the 2017 Super Bowl, Sprint shows a dad faking his own death in order to get out of paying his Verizon bills. This ad will definitely be noticed and talked about, but it also runs the risk of feeling too intense. This one really felt more like an action movie than a commercial for a website platform. The main character is a chef who is so involved in the building of a beautiful site for his business, that he doesn’t even notice Jason Statham and Gal Gadot destroying the place while battling some bad guys. They even help him move his company in a new direction! 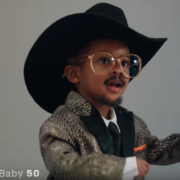 The NFL follows up last year’s ad about babies who were born 9 months after a Super Bowl, by showing actual babies dressed up as iconic NFL legends. It’s a good test of your knowledge – can you identify them all? Lexus goes a lot more modern while comparing a man and a machine, and it makes you wonder which is which. It’s crisp and creative, and it’s impressive enough to watch over and over. Audi went with a very touching ad that had a message from a father concerned that he’ll have to tell his daughter that men aren’t equal to women in the workforce. However, she inspires him so much that it ends with bright hope for the future. Have you ever wondered why Humpty Dumpty was sitting on the wall before he took his great fall? Well, TurboTax finally got to the bottom of it. These are some of the best commercials shown during the Super Bowl, but there’s no mathematical formula to prove which was the winner. Which did you like the most? Humans have spent all of history protecting themselves from dangerous predators, but one specific animal brings fear into the hearts of people all over the globe. 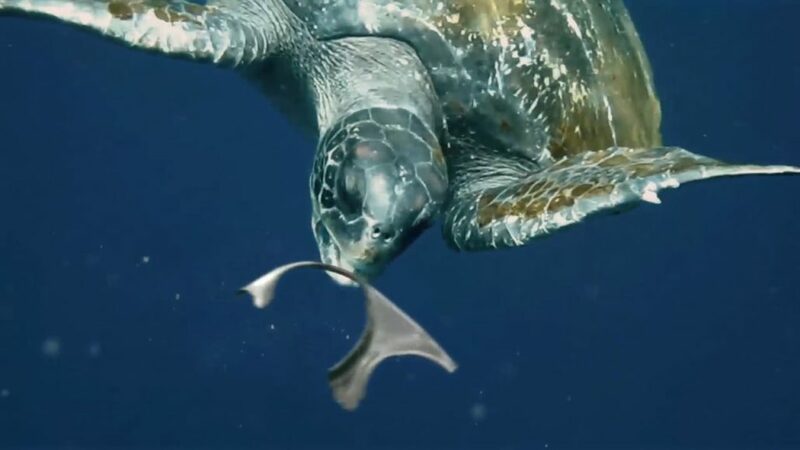 There are ways to fight back against this creature, but no one knows how to stop it completely. 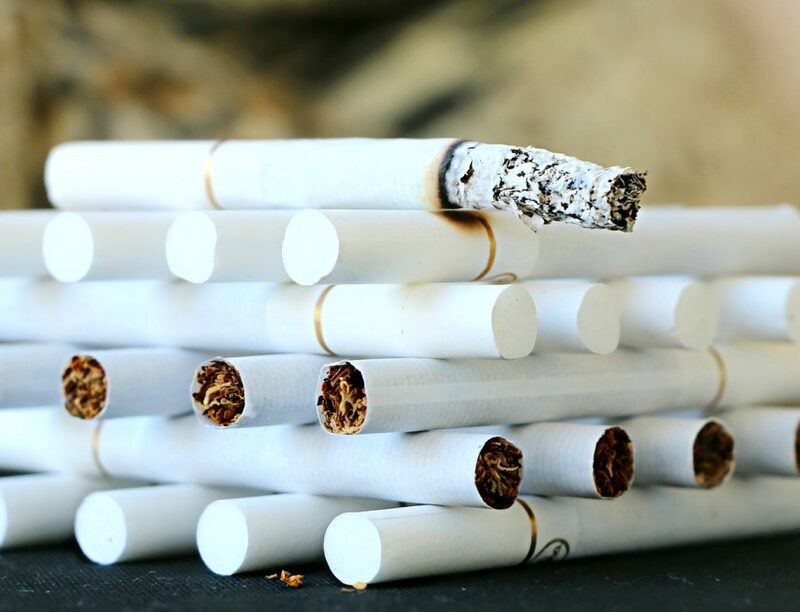 Because of a number of factors, it’s becoming a major hazard to the health of the public. But, in the most unsuspected of places, a solution was found. 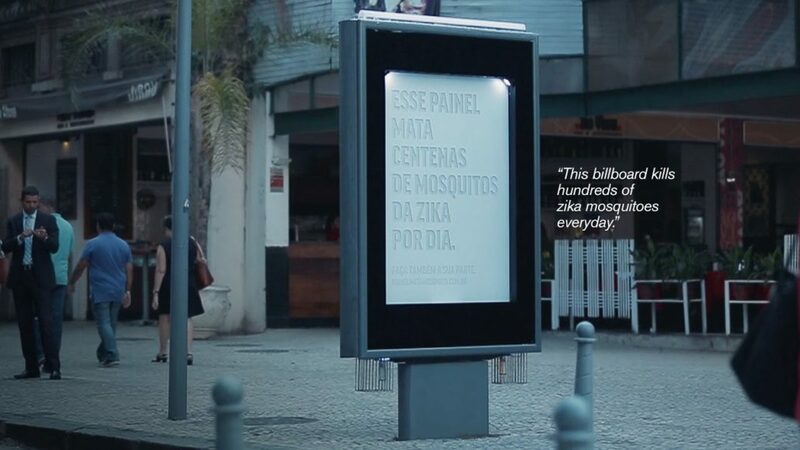 A billboard is saving the day in the global battle against mosquitos. There is some sophisticated machinery built inside of it, and that’s what gives it some teeth. 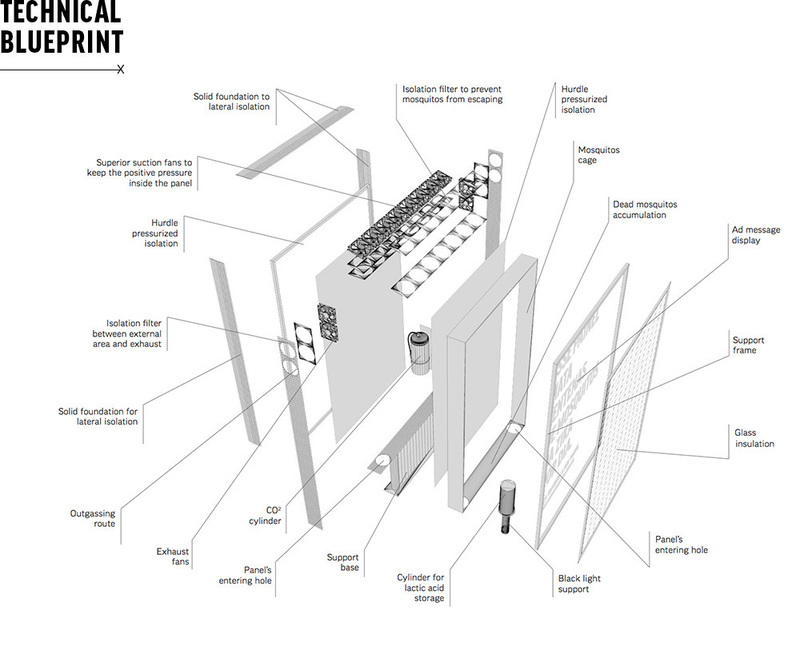 First, it has internal containers that emit carbon dioxide and lactic acid into the air. These are attractive to mosquitos because they’re the same scents that come from humans, so the insects flock to the source. And, it’s so strong that mosquitos will come from distances of up to 4 kilometers (2.48 miles) away. Once the little animals get closer, they notice the fluorescent lights inside the sign, and that makes them even more interested. Then, they have a little entrance that’s easy for them to find, so they fly right in. Unfortunately for the insects, it’s not so easy to get out. They remain trapped until they die of dehydration. Mosquitos are a big problem around the world since they act as mini carriers of disease, and they’re extremely hard to stop. This really came to light in 2015 when a major outbreak of the Zika virus began in Brazil, and the world took notice since so many people would be traveling there for the 2016 Summer Olympic Games. Since the virus can cause birth defects in babies born to mothers who have had it, it was significant enough to be called a “Public Health Emergency of International Concern” by the World Health Organization. 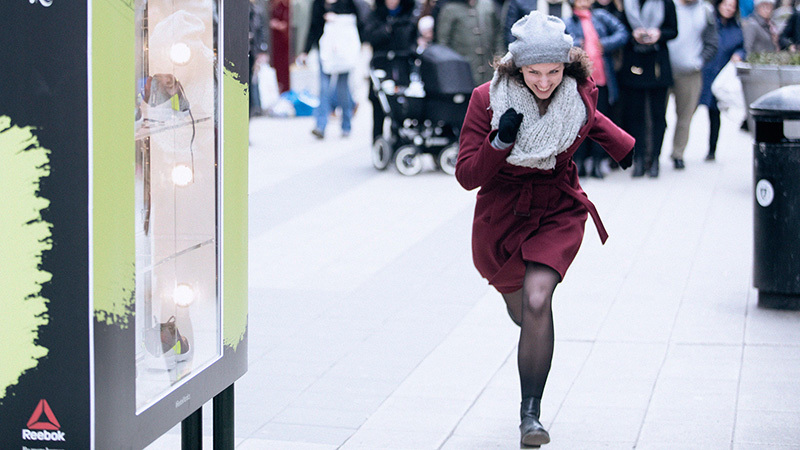 When creating outdoor advertising, it isn’t normal to make a trap for a dangerous animal. It’s common to try to promote causes related to public health, but they aren’t usually this direct and efficient. 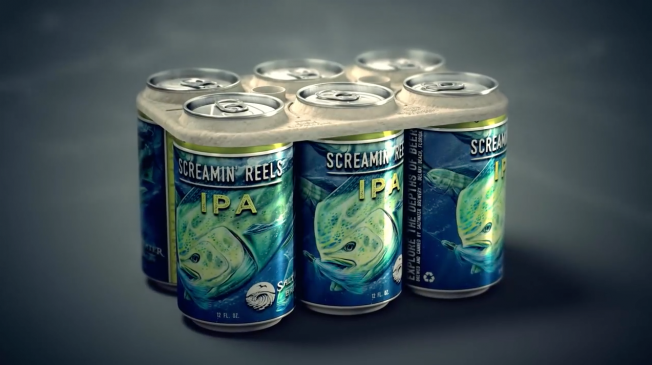 However, the creativity that comes out of advertising companies seems to be never ending. This whole project was created by Periscope and NBS, two agencies in Brazil. With the threat of the Zika virus causing so much trouble, they made this solution and taught others how to do the same. 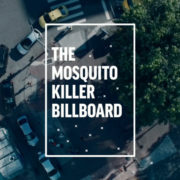 One very noteworthy part of this billboard is how the agencies who created it gave away the instructions on how to make the mosquito killer billboard. They went so far as to build a website that contains detailed information on how it operates, as well as how to make one yourself. This was so important because it took it from a publicity stunt and turned it into a gift for humankind. Following a similar strategy can really serve as an inspiration for other organizations to do something similar. And, they can use this as an example if they need to justify investments they’re making in their own projects. A billboard was built in 2013 that helped a major problem in Peru. The area suffers from very low amounts of drinking water because there’s hardly any rainfall. What water the people are able to get is often polluted, but there is often a humidity level over 95%. 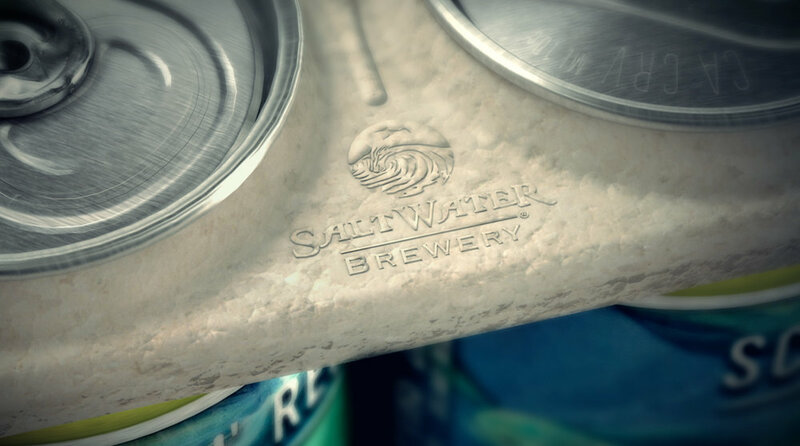 Seeing a problem and a potential solution, an ad agency partnered with a local university to see what they could do. They ended up creating a billboard that collected water from the air, purified it, and stored it into tanks. Then, people were able to come with bottles and collect the drinking water for their families. It didn’t quite solve the entire issue, but it was a creative solution that helped a lot of people. Are You Able to Solve a Health Problem? Even if you don’t think that mosquitos are a major threat, do you have any problems you’ve thought about solving? If so, you don’t necessarily have to do it alone. Sometimes someone has already come up with a solution (like what has happened in this case), and other times you will be able to find help with it. Organizations that are fighting against diseases and other hazards on an everyday basis are usually more than happy to help you turn a dream into a reality. Let’s try to save the world, one billboard at a time.